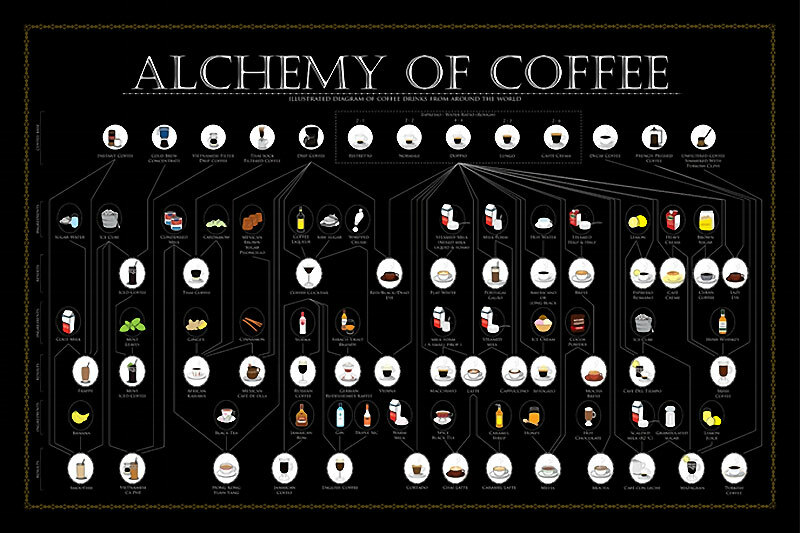 Discover 39 coffee recipes from around the world through this illustrated poster by SweeTooth Design. 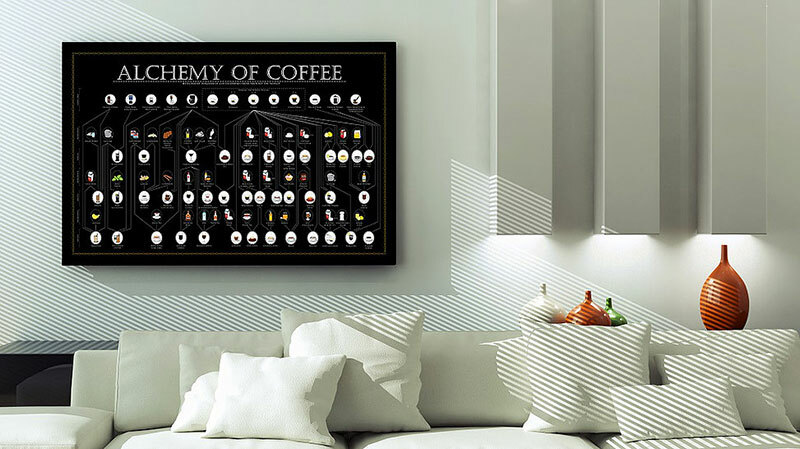 The diagram shows how different coffee drinks from Mocha or Americano to Irish coffee, iced Vietnamese coffee, Hong Kong Yuan Yang, Jamaican Coffee, Portugal Galão, Mexican Café de olla, Turkish Coffee, and many others are made by mixing with similar ingredients. We know everyone makes their coffee differently: instant coffee, drip with a coffee maker or Kone or French press. What we wanted to introduce is something more than how to make the perfect cappuccino, our team wanted to create something that any everyday-coffee-drinker can follow and try out different local flavors as if you are traveling in another country. 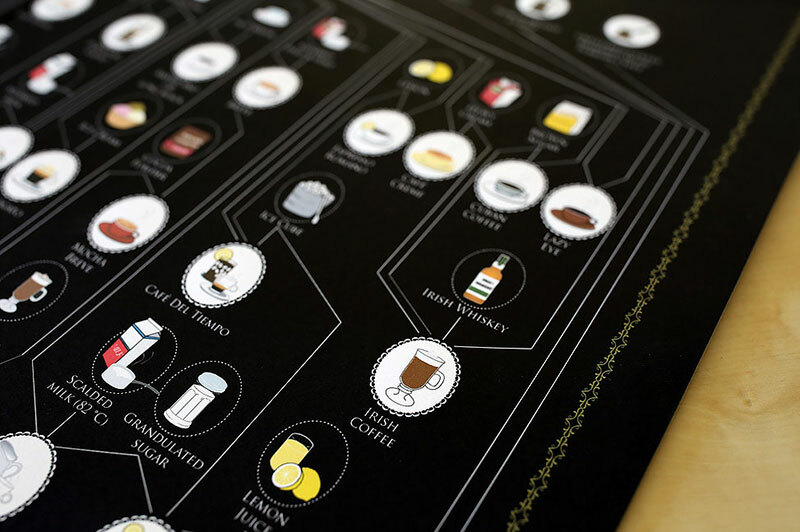 Discover 39 coffee recipes from around the world through this illustrated poster by SweeTooth Design.